Join us on Saturday, April 13th, 2019 for Hapeville Opening Day at the Tom E. Morris Sports Complex located at 3415 Claire Drive, Hapeville, GA 30354. 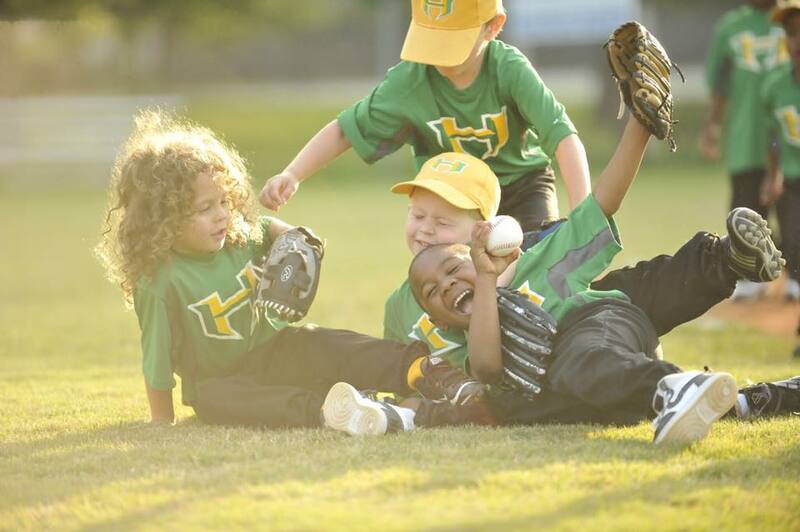 Come out and enjoy T-Ball, Baseball, Softball & Soccer Opening Day games and much more! Our Community Parade begins at 11 a.m. off Clair Drive and will end at the Hoyt Smith Center. 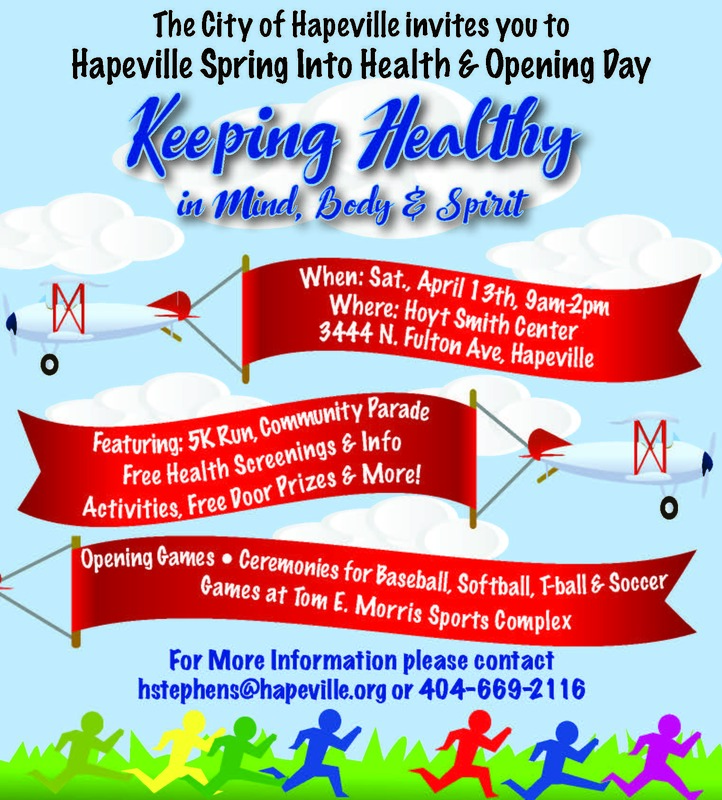 Opening games and ceremonies for baseball, Softball, T-Ball & Soccer will take place by the baseball fields off Claire Drive from 12 p.m. –5 p.m. All Hornet Teams are welcome to have team cook outs near the volleyball court from noon to 5 p.m.
Hapeville Spring Into Health Fair 10 a.m. - 2 p.m.
Our health fair offers free screenings and knowledge we can all use in our daily lives. Be sure to come by. We are still accepting applications for vendors. Here is a sneak peak at our "line up" of vendors. Come by and learn how to keep healthy through your mind, body and spirit. MIND: Sanskrit Moon Yoga, Xima Health Zenter offering information on Reiki, and special guest psychic medium teacher Yvonne O'Brien, meditation instructor Andrea Garcia and chair massage with Andrea Robinson. Hapeville Police Department offering bicycle safety and road rules. BODY: Life South Blood Bus, Dr. Kim Henry Dentistry, WellStar hospital will offer free screenings for Blood Pressure Glucose and Cholesterol, Northside Hospital representatives will be onsite with information on free mobile mammogram services, stop smoking information and free prostate screening locations. Registered dietitian Ms. Jess Collet will have information and demonstrations for healthy eating. The American Red Cross representative Mr. Lance Robertson. SPIRIT: Natural Delights offering information and meals by Chef Shay our local vegan chef, Sweet Treats will offer free samples and healthy cooking recipes. Arbonne 30 demonstrations with Christie Miller. Aid Atlanta, American Cancer Society, American Health Association, American Lung Association, March of Dimes, and Mothers Against Drunk Driving.